Engineers in virtue of their many-year experience in our factory have released several new grinding board machines which are recognized by users. Pretty appearance and compact design, it is easy to be assembled for transport. Only one minute is needed to knead a quilt cover without noise. When disassembling, you can go in and out freely. Wee are responsible for the machine-site installation debugging. T-1 Vertical type:the upper kneading board goes up to 1.9m (Top of the head), and you can go around freely on the lower kneading board. 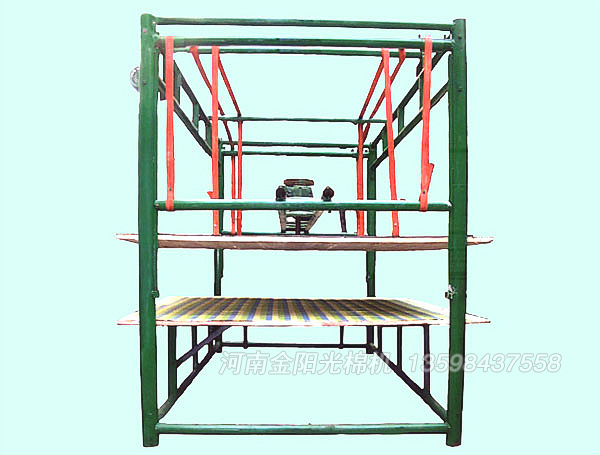 T-2 Horizontal type:(running rail) The complete machine stands at side, and the upper kneading board is lifted then the lower kneading board runs along the rail. The quilt protype is formed and is put in after a gauze net is unfolded well. Finally, put down the lower kneading board for kneading and grinding.